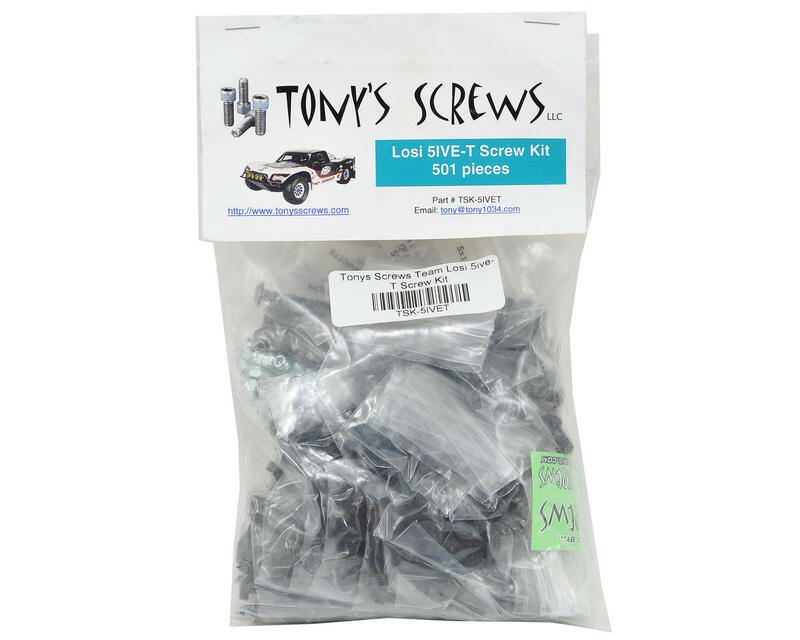 This is an optional Tonys Screws Team Losi 5ive-T Screw Kit. This 501-piece high grade alloy steel socket head screw kit includes all applicable cap, flat and button head screws, as well as locknuts, washers, lock washers and set screws. But, this is more than just a OEM screw kit! Due to the many screws that are too short from the factory, Tony has updated this kit. Working closely with TGN Distributing and the RC Large Scale forum members the Tonys Screws 5IVE-T kit has been "upgraded" and includes the necessary longer sizes where Losi cut them too short!